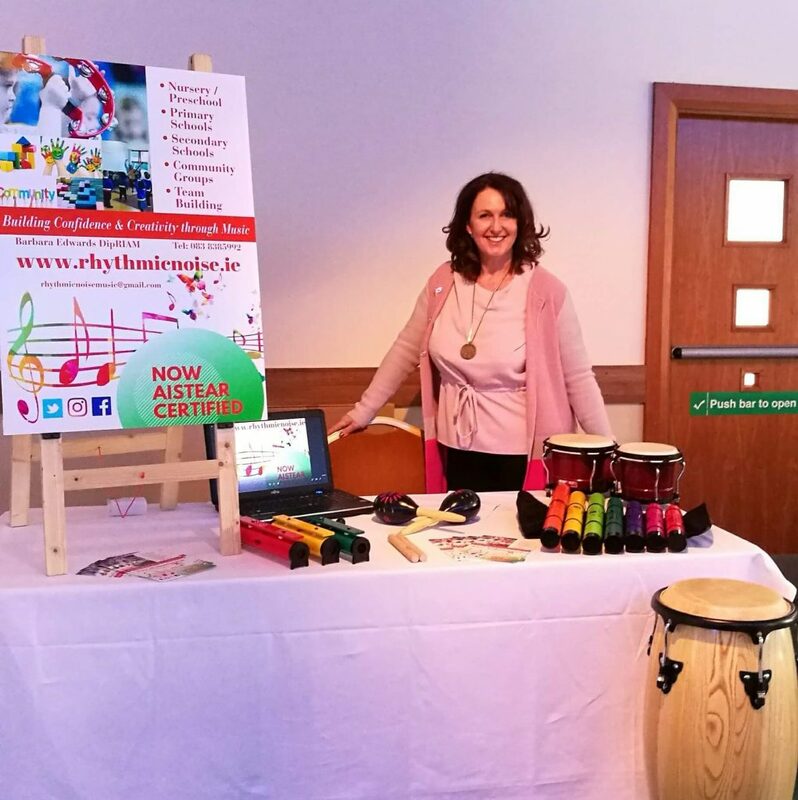 So, there I am showcasing www.rhythmicnoise.ie at the Donegal Women in Business Network Business Clinic & Exhibition event at the Station House Hotel in Letterkenny on International Women’s Day, March 2018 and there’s a palpable buzz in the air. I didn’t know very many people, so I made it my business to introduce myself and my business. Putting a face to a name is so important and therefore, stepping away from online networking once a month for a Donegal Women in Business Network event is great for this. Members really need to connect in person, get to know each other. And the best thing about connecting that day was I gained a client. A real one too in the flesh! We had a conversation – over real coffee. They saw me demonstrate my workshops and asked me to deliver at an upcoming conference. From that conference, an attendee then booked me for an August event and I’ve also been given two taster mornings in schools for the 2018/19 terms. Now THAT’S the power of face-to-face networking! And did you know that for the price of a takeaway, you can have a year’s membership of the Donegal Women in Business Network? Updates; trainings that are available; networking events, Hot desk space, the opportunity to blog like I’m doing now … and the list goes on.. Remember PEOPLE BUY FROM PEOPLE. Join the Donegal Women in Business Network today and do your business a favour! Rythmic Noise is suitable for people of all ages that develops creativity, self expression, and builds confidence and all workshop activities are age appropriate to each group. Bringing music to young children and adults who may never have had the opportunity to experience the joy of music, is something I am passionate about.